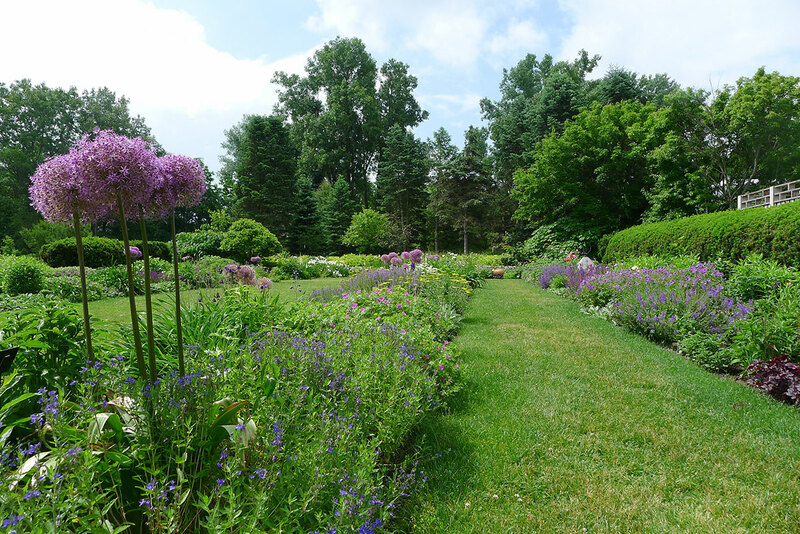 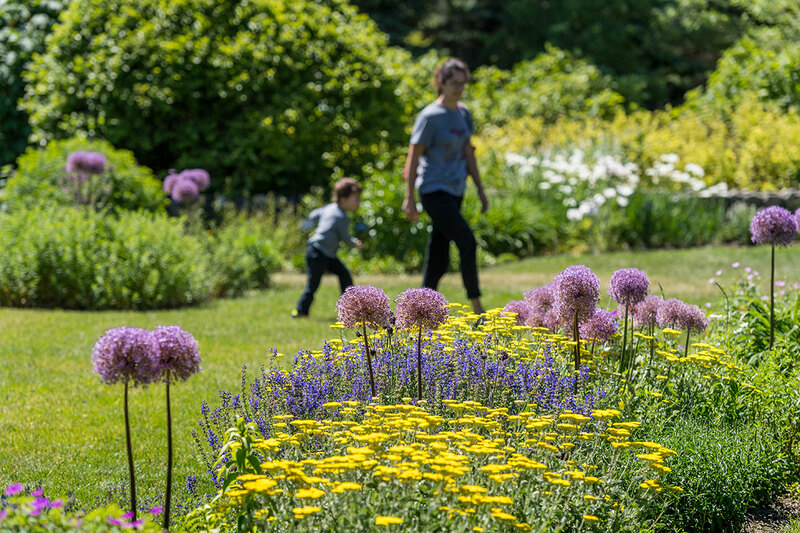 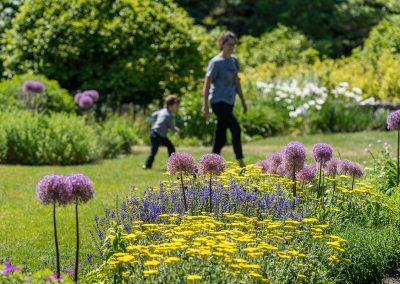 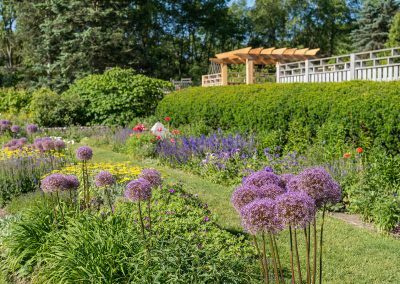 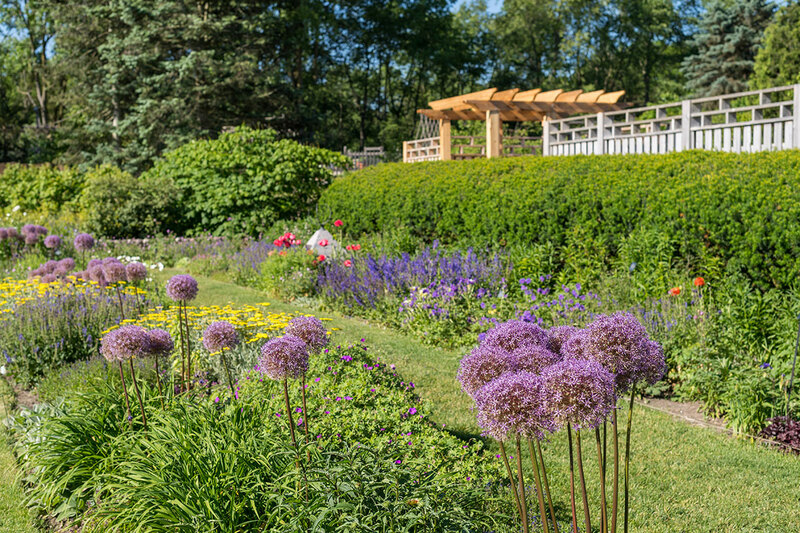 The perennial garden glows with exuberant, color-coordinated waves of bloom from plants appropriate for our region. 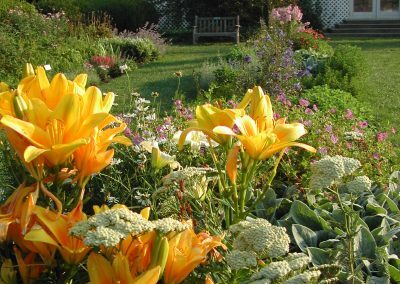 Visit to get ideas on what to grow at your own home that’s beautiful, noninvasive, hardy, and ecologically responsible. 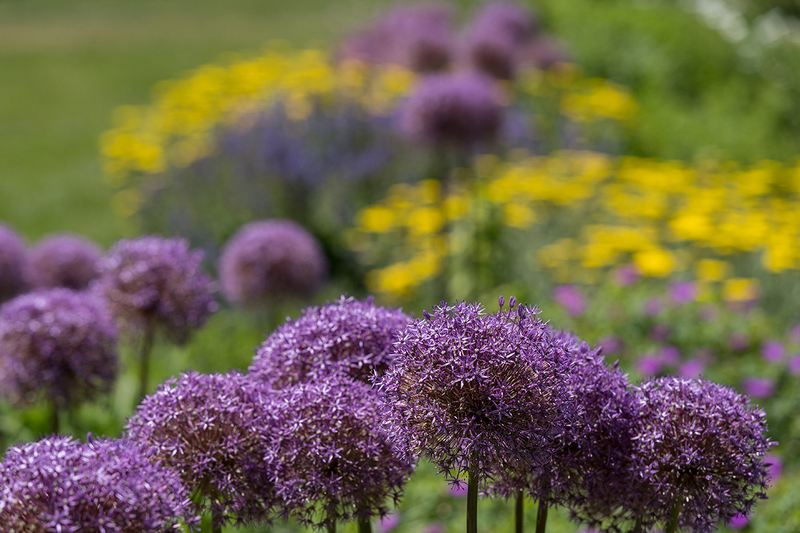 The plants have been selected for a long season of bloom. 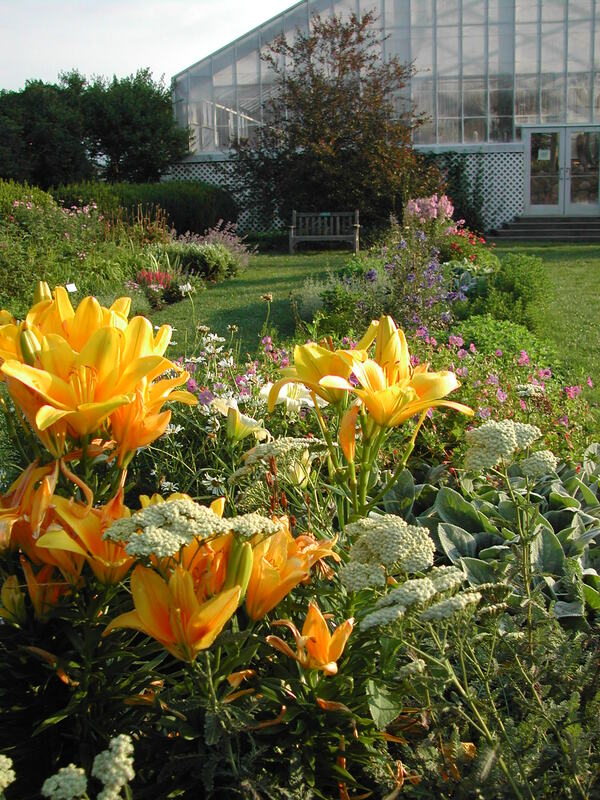 No wonder this is a favorite garden for weddings. 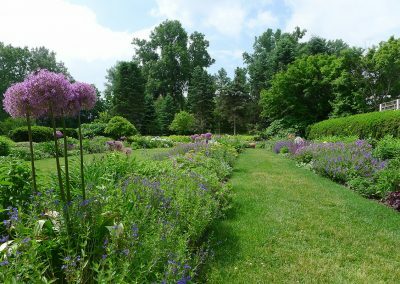 German iris (Iris germanica), poppies (Papaver), and Siberian iris (Iris sibirica) show beautiful color around Memorial Day. 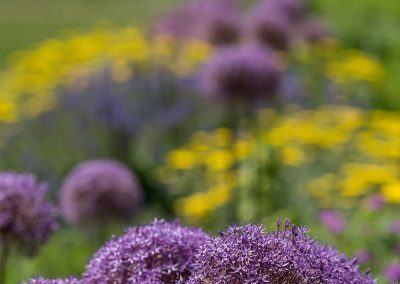 Refreshing true blue flowers bloom most of the early summer, while yellow coreopsis (Coreopsis), golden yarrow (Achillea), pink mallows (Malva) and purple phlox (Phlox) carry the bloom until autumn. 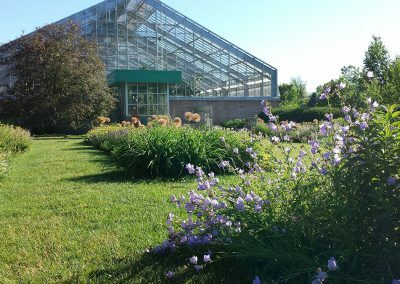 The purple asters (Aster) and yellow mums (Chrysanthemum) are the season’s finale. 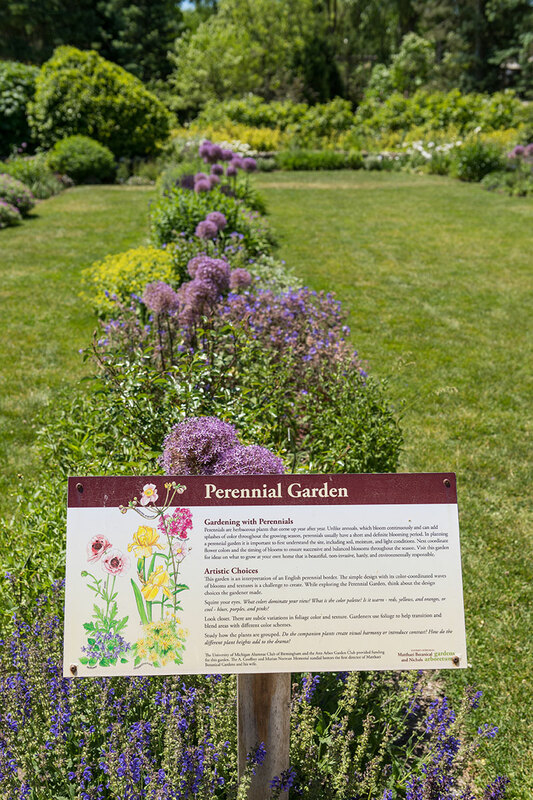 Scroll down for more photos of the perennial garden. 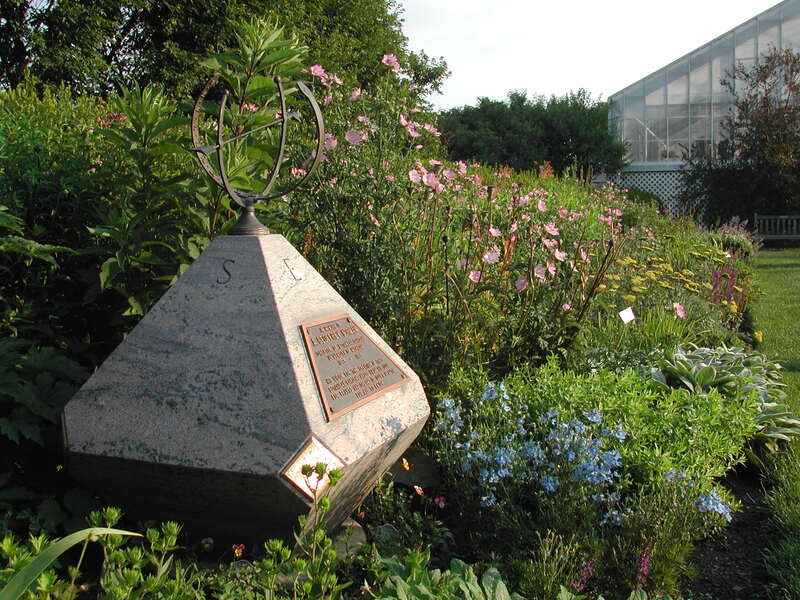 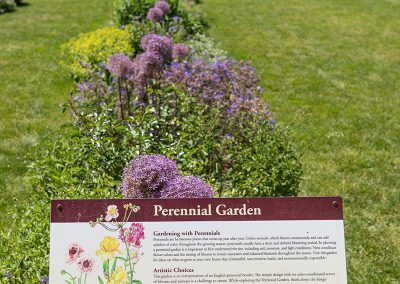 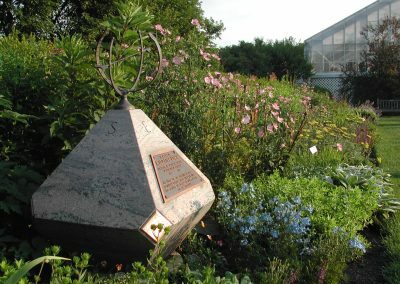 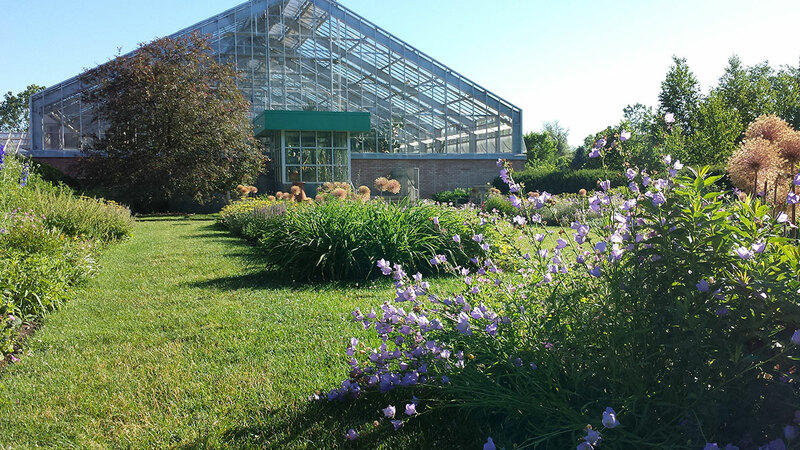 The perennial garden is at the Matthaei Botanical Gardens site and was one of the first outdoor gardens developed on the site.